"Added sugars, such as table sugar, honey and syrups, shouldn't make up more than 5% of the energy you get from food and drink each day. That's about 30g a day for anyone aged 11 and older. Some packaging uses a colour-coded system that makes it easy to choose foods that are lower in sugar, salt and fat. Look for more "greens" and "ambers", and fewer "reds", in your shopping basket. Porridge oats are cheap and contain vitamins, minerals and fibre. Make porridge with semi-skimmed, 1% or skimmed milk, or water. If you usually add sugar to your porridge, try adding a few chopped dried apricots or a sliced or mashed banana instead. Or you could try our apple-pie porridge recipe. For a more gradual approach, you could eat sugary cereals and plain cereals on alternate days, or mix both in the same bowl. If you add sugar to your cereal, you could try adding less. Or you could eat a smaller portion and add some chopped fruit, such as a pear or banana, which is an easy way of getting some of your 5 A DAY. 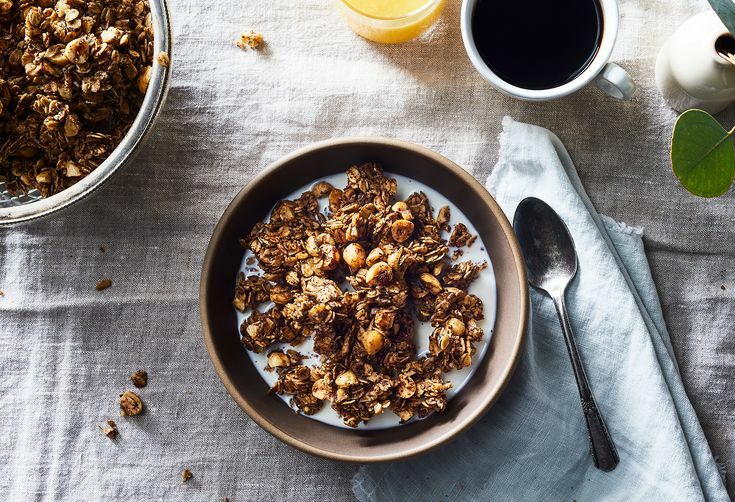 Read our guide to choosing healthy breakfast cereals. If toast is your breakfast staple, try wholemeal or granary bread, which is higher in fibre than white bread, and see if you can get by with a little less of your usual spreads like jam, marmalade, honey or chocolate. Or you could try sugar-free or lower-sugar options. Many foods that we don't consider to be sweet contain a surprisingly large amount of sugar. Some ready-made soups, stir-in sauces and ready meals can also be higher in sugar than you think. A third of an average-sized jar of pasta sauce (roughly 150g) can contain more than 13g of sugar, including added sugar – the equivalent of three teaspoons of sugar. When eating out or buying takeaways, watch out for dishes that are typically high in sugar, such as sweet and sour dishes, sweet chilli dishes and some curry sauces, as well as salads with dressings like salad cream, which can also be high in sugar. Condiments and sauces such as ketchup can have as much as 23g of sugar in 100g – roughly half a teaspoon per serving. These foods are usually served in small quantities, but the sugar count can add up if eaten every day. Healthier snack options are those without added sugar, such as fruit (fresh, tinned or frozen), unsalted nuts, unsalted rice cakes, oatcakes, or homemade plain popcorn. For more ideas, check out these quick and easy 100-calorie snacks. If you're not ready to give up your favourite flavours, you could start by having less. Instead of two biscuits in one sitting, try having one. If your snack has two bars, have one and share the other, or save it for another day. If you're an "all-or-nothing" type person, you could find something to do to take your mind off food on some days of the week. When shopping, look out for lower-sugar (and lower-fat) versions of your favourite snacks. Buy smaller packs, or skip the family bags and just go for the normal-sized one instead. Dried fruit, such as raisins, dates and apricots, is high in sugar and can be bad for your dental health because it sticks to your teeth. To prevent tooth decay, dried fruit is best enjoyed at mealtimes – as part of a dessert, for example – rather than as a snack. A 500ml bottle of cola contains the equivalent of 17 cubes of sugar. Try sugar-free varieties, or – better yet – water, lower-fat milk, or soda water with a splash of fruit juice. If you take sugar in tea or coffee, gradually reduce the amount until you can cut it out altogether, or try swapping to sweeteners instead. Try some new flavours with herbal teas, or make your own with hot water and a slice of lemon or ginger. Like some fizzy drinks, fruit juice can be high in sugar. When juice is extracted from the whole fruit to make fruit juice, sugar is released, and this can damage our teeth. Your combined total of drinks from fruit juice, vegetable juice and smoothies should not be more than 150ml a day – which is a small glass. For example, if you have 150ml of orange juice and 150ml smoothie in one day, you'll have exceeded the recommendation by 150ml. Fruit juices and smoothies do contain vitamins and minerals and can count towards your 5 A DAY. However they can only ever count as a maximum of one portion of your 5 A DAY. For example, if you have two glasses of fruit juice and a smoothie in one day, that still only counts as one portion. You could try flavouring water with a slice of lemon, lime, or a splash of fruit juice. But watch out for the sugar content in flavoured water drinks: a 500ml glass of some brands contains 15g of sugar, the equivalent of nearly four teaspoons of sugar. Do you have to have chocolate, biscuits, and cake every day? If you had this type of sugary snack less often, would you actually enjoy it more? Less sugary desserts include fruit – fresh, frozen, dried, or tinned, but choose those canned in juice rather than syrup – as well as lower-fat and lower-sugar rice pudding, and plain lower-fat yoghurt. However, lower fat doesn't necessarily mean low sugar. Some lower-fat yoghurts can be sweetened with refined sugar, fruit juice concentrate, glucose, and fructose syrup.